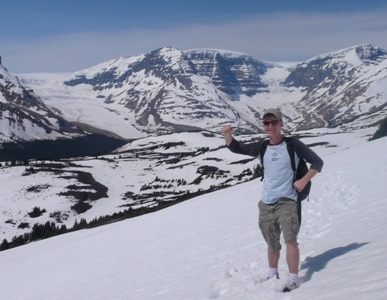 I am starting my Masters of Geology at the University of Calgary, under the supervision of Stephen Hubbard. Recently, I completed an Earth Science Major at the University of Victoria in the School of Earth and Ocean Sciences. This well-rounded degree was very valuable to me and also inspired me to seek to further my knowledge about sedimentary systems, basin development and larger tectonic processes. While I started paying for my university by doing forestry work, I also received an NSERC grant to work in a marine geochemistry lab, worked as a summer student in a biogeochemistry facility, completed a co-op work term with the GSC marine geosciences group, worked as summer student geologist for EnCana, and worked for the BC Ministry of Energy, Mines, and Petroleum Resources. Through these jobs I have gained practical skills and knowledge related to remote field work, aqueous chemistry, geochemistry, geophysics, petrophysics, and, of course, sedimentary geology. The objective of my research is map the subsurface architecture of Jurassic sandstone beds in northeastern British Columbia. There will be a focus on depositional environments, sediment distribution, stratigraphic correlations and reservoir potential. The thesis will employ both outcrop and subsurface studies, including core and well logs. I will employ genetic and sequence stratigraphy to create a predictive model of sandstone bed geometries. Provenance studies will assist with a tectono-stratigraphic model for the period when the passive margin developed into a tectonically active foreland basin. Also, the information gathered will help to build a including a predictive, regional high-resolution paleogeographic framework for the time period.